Great Rates Phone us NOW !!! Get in and Book Early for Splendour In The Grass and Schoolies 2009. 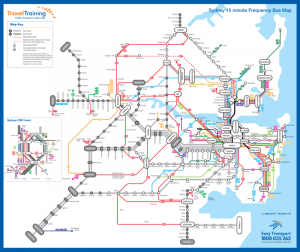 Brisbane Transfers are Available upon Request. Ballina – Byron Bay Gateway Airport : Byron Bay Airbus operates an express door to door transfer shuttle service. We meet your flight…… even special charters. Gold Coast – Coolangatta Airport : Byron Bay Airbus meet to booking requirements any time – this includes early mornings and late evenings, as well as, normal business hours. 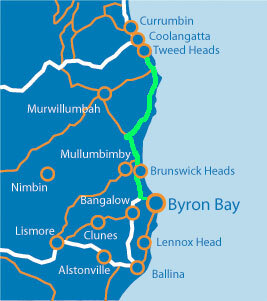 Lismore – Byron Bay : Byron Bay Airbus operates an express door to door transfer shuttle service. We meet your flight bookings required. This means that you will have little time at the airport and the maximum time to enjoy your holiday or business trip. We even meet unscheduled and charter flights by arrangement. At Ballina – Byron Bay Gateway Airport our transfer counter is conveniently located at the baggage carousel where our friendly airport staff and driver will be to assist you with your baggage. At Gold Coast – Coolangatta Airport, look for our representative in our company’s white t-shirt with airlink logo and your name on a whiteboard.